Tenaru has over 40 years of experience distributing premium quality brands into the Australian decorating and paint industry. It is the exclusive distributor of European brands, Sikkens and Hammerite. These brands are part of AkzoNobel, the largest decorative coatings company in the world. Tenaru is also the distributor of Mirka products, a world leader in abrasives technology innovation, offering a complete range of technically superior, high quality abrasives, innovatively designed tools, supplementary products and complete sanding systems. Dynamic Paintware is a comprehensive professional range of paint tools and accessories that is also distributed by Tenaru. The brands that Tenaru distributes are the preferred choice for professionals like architects and painters, yet they are also popular with the discerning DIYer. 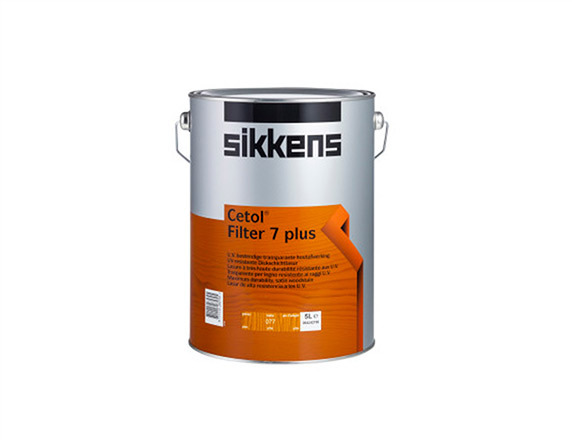 Cetol Filter 7 plus is a medium build transparent satin top coat with added UV filters. Designed as the final two finishing coats over Sikkens Cetol HLSe. It remains flexible as timber moves and provides extra protection for timber exposed to maximum weathering.